Click here to download an electronic copy of the NNSSWAC (2016). Users of the NNSSWAC are responsible for ensuring that printed versions of this document are the current revision as posted on this website. 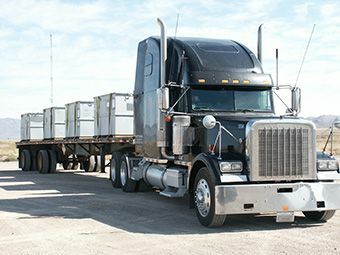 Government and commercial entities safely transport shipments of radioactive material across the United States in accordance with Department of Transportation (DOT) requirements. 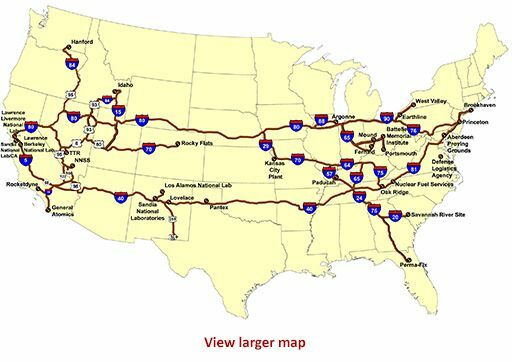 The DOE strictly adheres to all DOT requirements and DOE Orders and Manuals pertaining to the transportation of hazardous and radioactive materials, including rigorous regulatory training, safety implementation, and attention to detail in all its shipping operations. In addition to national regulations, all approved low-level and mixed low-level waste generators must comply with the Nevada National Security Site Waste Acceptance Criteria (NNSSWAC) which identifies specific regional guidelines.